The MGM Cotai resort in Macau opened in time for Chinese New Year celebrations. 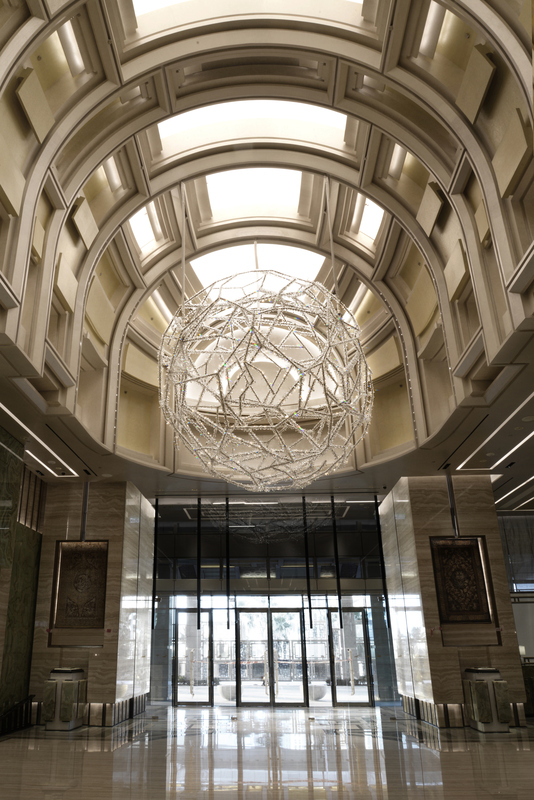 Located in the VIP entrance is our crystal chandelier Celestial Spheres. The specially commissioned chandelier forms part of the permanent art collection hosted at the resort. Measuring 4.5 metres across, the stainless steel armature is covered in over 150,000 Swarovski crystals. Find out more about Celestial Spheres.